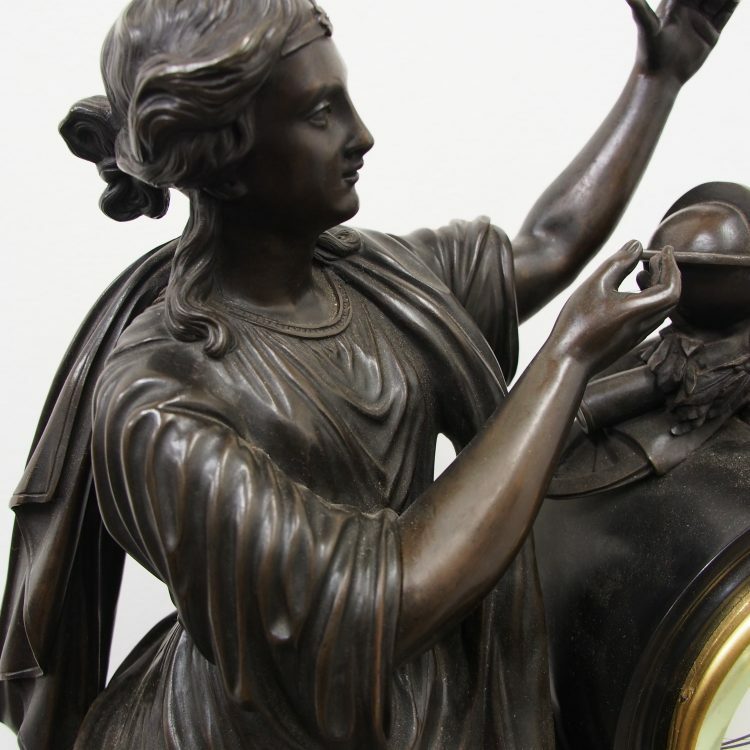 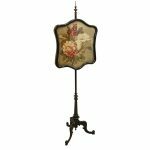 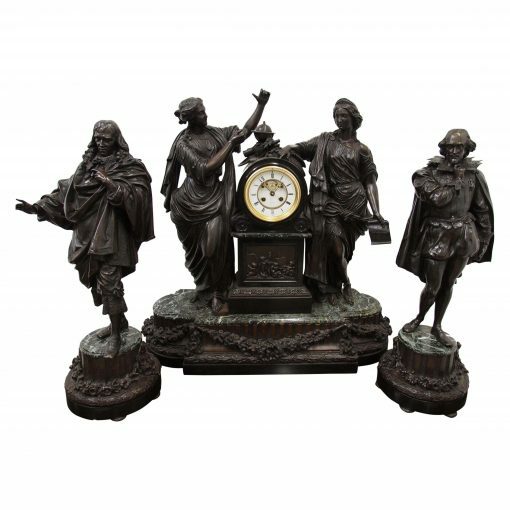 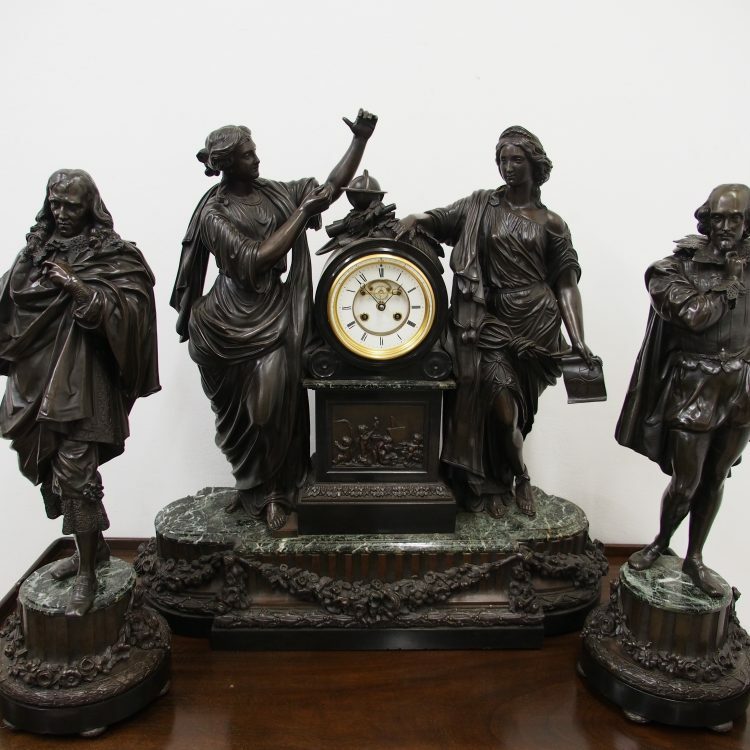 Circa 19th century, large French bronze and marble clock garniture emblematic of literature. 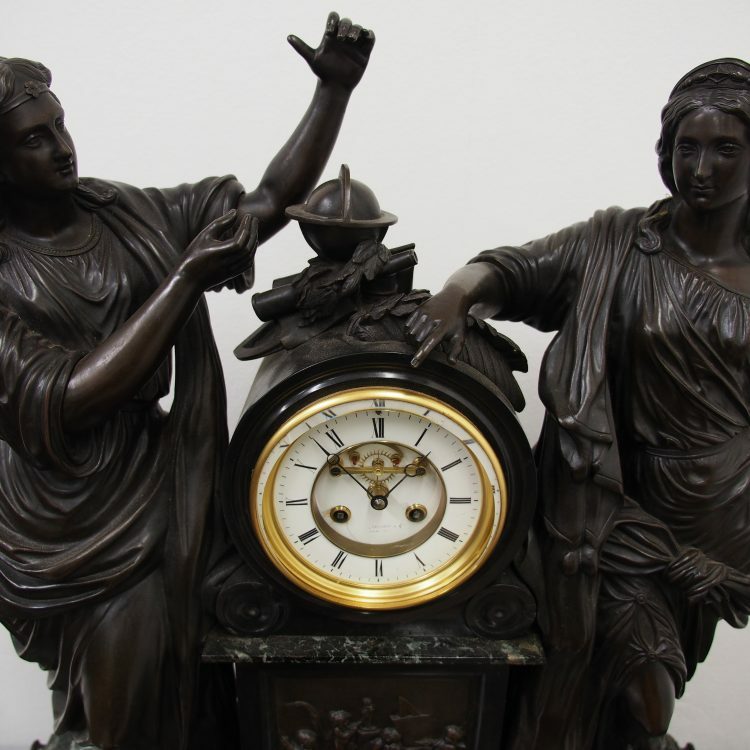 The white enamel Roman number dial has an exposed escapement, set in a column surmounted by a trophy representing the arts. 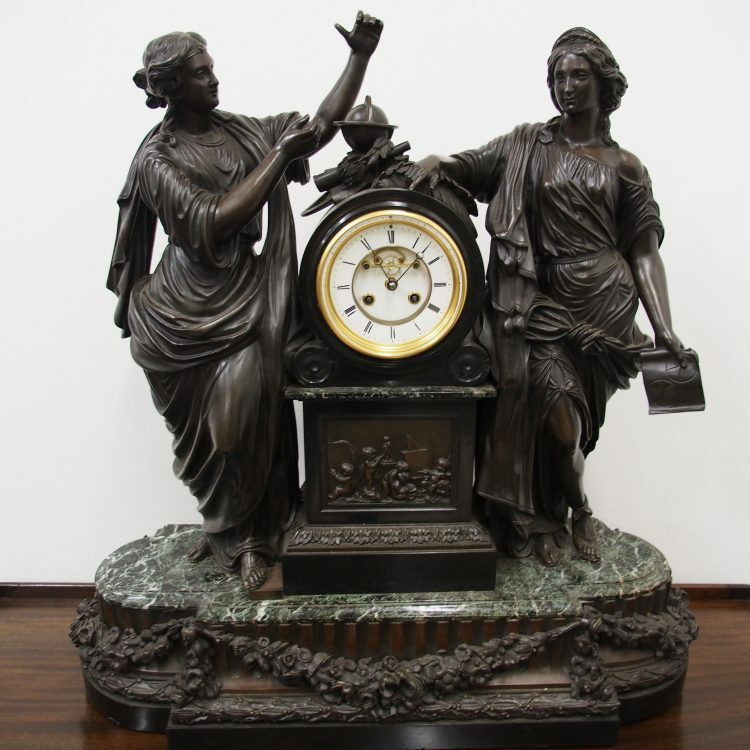 The clock is flanked by standing bronze figures of the muses Clio and Calliope, on a fluted oval green marble base with gilt metal mounts, raised on toupie feet. 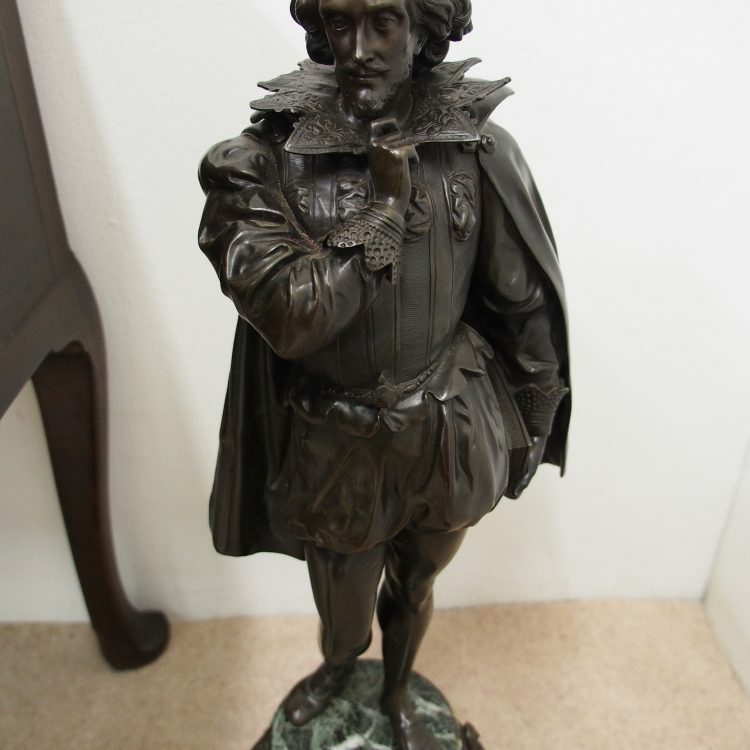 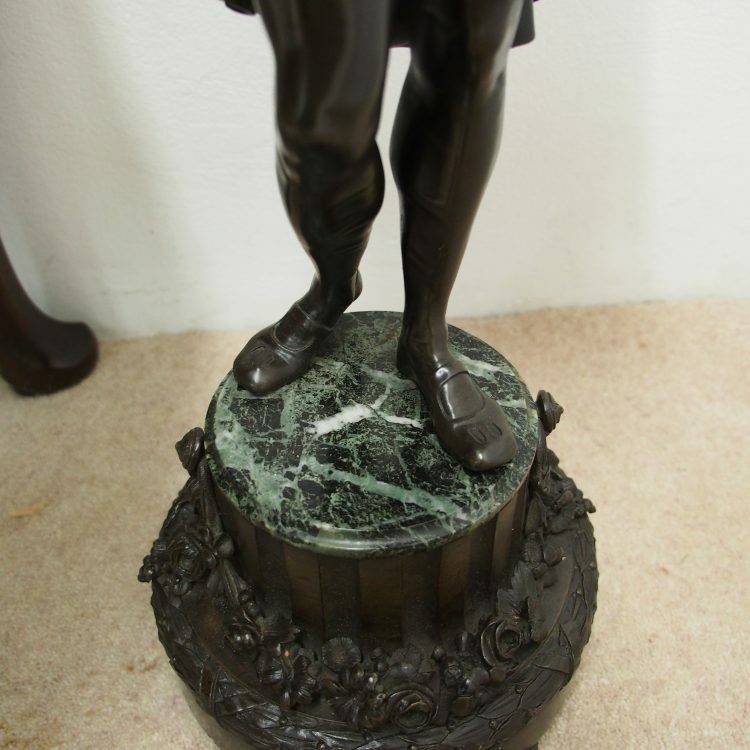 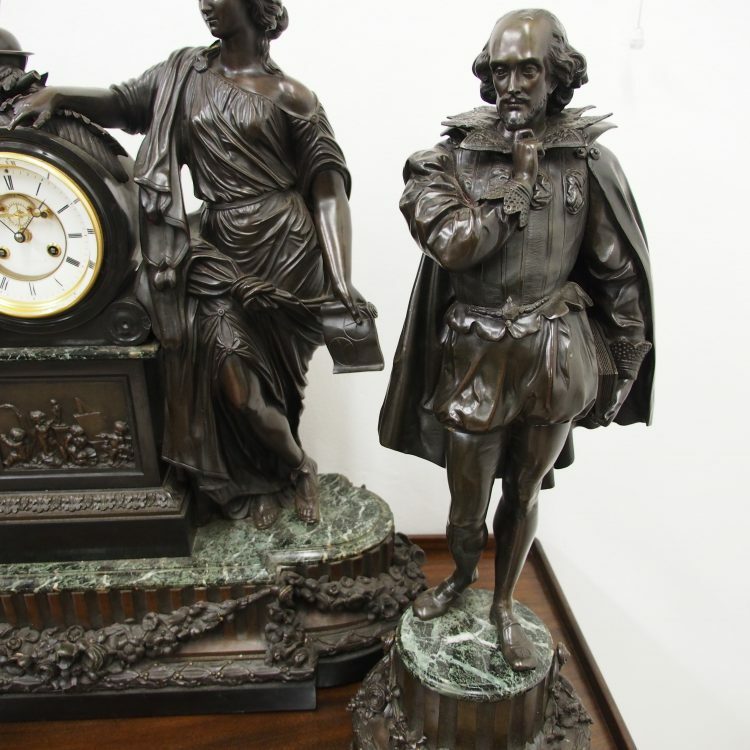 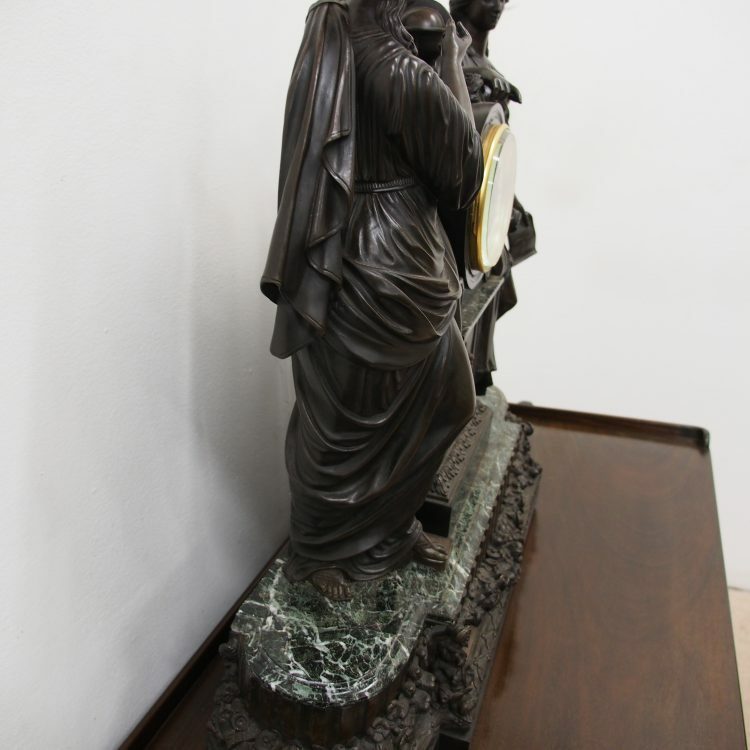 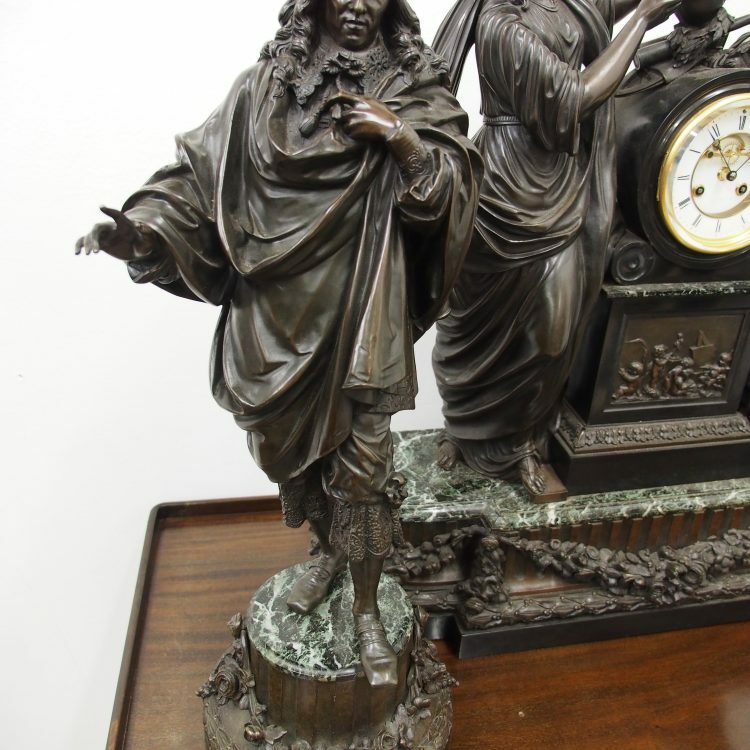 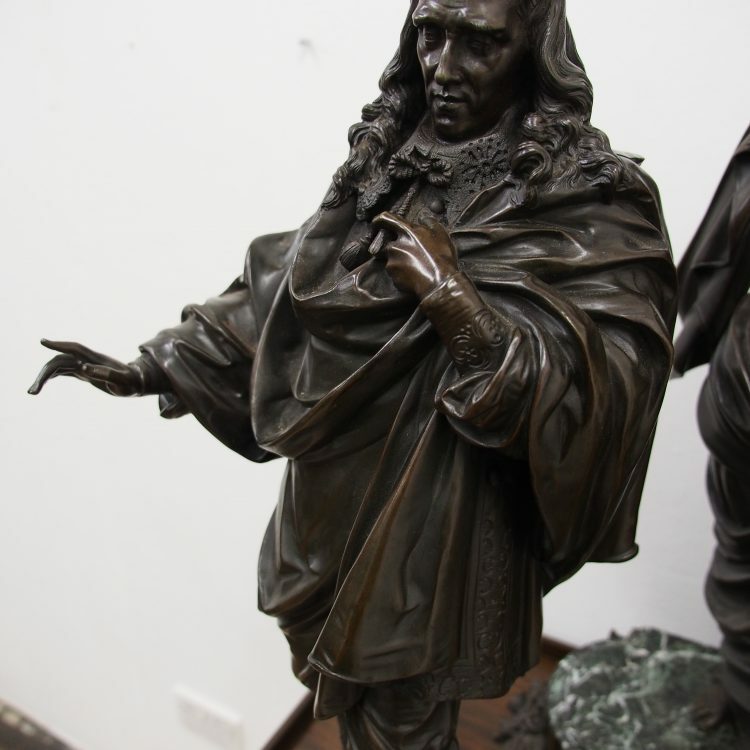 There are a pair of bronze figures of Shakespeare and Milton, on matching fluted marble bases. 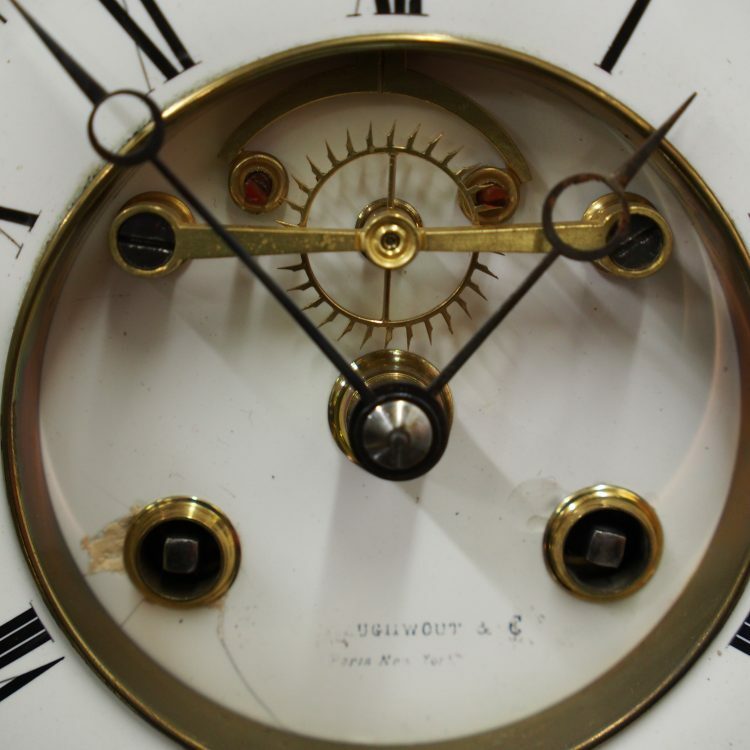 The eight day movement is stamped MF & F and striking a bell, the dial inscribed indistinctly ‘**UGHWOUT/ Paris New York’.